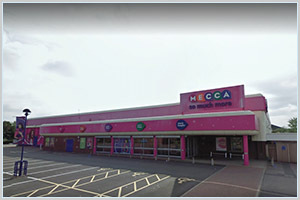 Mecca Oldbury | Pub Quizzers | Find a pub quiz near you, now. Pub quizzes take place at Mecca Oldbury, Oldbury on Fridays (weekly) at 21:30. Entry is £0.00, you can have up to 6 people on a team. There are prizes of cash. Happy quizzing! Hashtag Speed Quiz - played on smartphones and devices. No need to be a member to play. Quiz played after the bingo. If you had Lafite-Rothschild on your dinner table, what would it be?